This blog post has been published in the context of the Computational Art-based Research and Theory module, part of the MA in Computational Arts I am currently doing at Goldsmiths. This week’s reflection is based on ‘Figuring the Human in AI and Robotics’, Chapter 13 of Human-Machine Reconfigurations by Lucy Suchman (2006), Cambridge. In Human-Machine Reconfigurations Suchman explores what figures of the human are materialised in robotics and AI technologies. She questions what makes those experiences humanlike but also what cultural imaginaries are used and referenced in these techno-science initiatives. What is the need for making robots humanlike? Embodiment — as a necessity to navigate the physical environment. Emotion — as a necessity to intelligently and naturally interact with us, providing effective rationality. But we can question the need for the robots to take a human form, or mimic human interactions, in the first place. Some would argue that it facilitates interaction and collaboration. It’s a way to make it ‘user friendly’ by giving it a known form and remove the fear of the technology. It also provides a cognitive trick and give credibility to the machine. We tend to see humans as the most intelligent creatures, so if the machine can take the form of a human, or behave like one, it is a proof that the system is intelligent. Nevertheless, I can’t help thinking that researchers and technologists also like to play God and want to see if if they can recreate a human. Even if understanding how humans work is fascinating and can benefit a lot of domains, we are all curious to see if we could make a machine do the same. Existing machines, even very advanced ones, are missing one crucial component of what makes us human: agency. Existing systems can only ‘fake’ their humanness by using well crafted algorithms. Agents are not the authors of their own acts, they are dependents of the rules implemented in them and don’t have the autonomy to reconfigure itself. This is one of the most common theme in science fiction involving robots or AI. Those stories picture machines intelligent enough to naturally interact with us and be integrated in our society. It often gets difficult to identify who is a human and who is a machine, making us question what it means to be human. And it expresses our fear of the machines turning against us. Now, looking at those humanoid forms, it is also interesting to observe how the human is figured, both is existing projects and in the speculative and fictional ones. 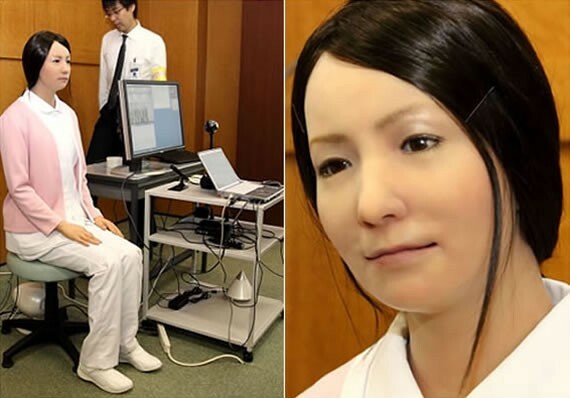 Robotic projects seem to reproduce existing stereotypes of what human ‘should’ look like and take the form of the few ideals commonly shared in the specific geographies where those projects come from. This includes racial, gender and body types stereotypes, removing any notion of diversity that makes us human. Most robots are caucasian or asian, are of an average height and have a body type that good be defined as ‘fit’. They also have a gender. Or at least a figured gender, using the attributes of what a man or a woman should have in the common imaginaries. They don’t just have legs and arms to navigate the physical environment, or eyes and a mouth to figure emotions and generate empathy. They also have breasts when they are supposed to be female and upper body muscles when they are supposed to be male. What is the most worrying is the conscious choice of gender depending on the function of that machine. “Muscular” male robots are designed to assist with physical tasks, like help lift heavy boxes, while assistants and carers are female, perpetuating qualities associated to gender other techno-science initiatives are trying to help leave behind. Following Suchman’s framework of embodiment, emotion, sociality, we can question the need for the human form. Do other forms of intelligence need to have a human figure to be recognised as ‘intelligent’? Would it not make more sense to create a new type of form? 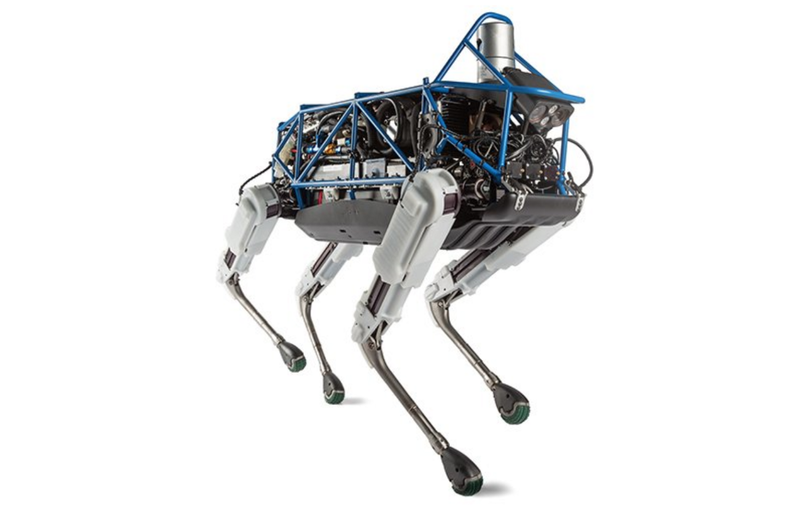 The machine doesn’t need to have two legs or two arms to interact with the physical environment. Boston Dynamic projects are a good example of how to get inspired by the best of what nature has to offer to design a machine that is more optimised to interact with its surroundings than the human body. When it comes to sociality, we can look at how we can develop relationships with other forms of beings. Pets are a great example of that. The bond between a human being and a pet can sometimes be stronger than between humans themselves. Studying the social mechanisms in place in those relations would be an interesting place to start. To communicate emotions and generate empathy, we could get inspired by animation or puppetry techniques. If we look closer at some Pixar movies, the ‘face’ of the characters plays a really important role, even if just made of 2 figured eyes, and a very expressive body language. It’s tricking the perception and makes the object coming to life by enacting basic human emotions. A few robotic projects are starting to emerge, especially for younger audiences, exploring different forms of figuration. This will hopefully inspire the next generation of makers.